With 25 years of service under their belt, The Joiners had built a business that is capable of standing the test of time. As they continue to thrive and move forward, they came to us to create a new logo for them that still represented their heritage as a long lasting company but also showed their relevance in the industry and continued modernization. Being in a business that is highly technical and relies heavily on the teams dedication to detail and consistency, we knew we had a big job ahead of us. We pride ourselves on the focus of details and making sure everything is well thought out – this was a huge opportunity for us to display these skills. There were elements that we carried over from the original logo that still hold true to their business and values today and we took them and put our twist on it. You can see the original logo, created by a talented friend, on the left of the slider – a classic and simple design. Merging the microscope and the initial of their name really made sense to us and to tie it all together with their main service of water testing, the droplet is central to it all. Keeping with the water theme, a blue color scheme was an obvious choice. Their passion for water goes beyond the microscope – they are avid navigators of the sea and are hoisting sails whenever they can. With the new logo in hand, it was time to begin working on a complete revamp of their website and collateral materials. In their lab, there are many different processes and procedures that require different forms and labels. 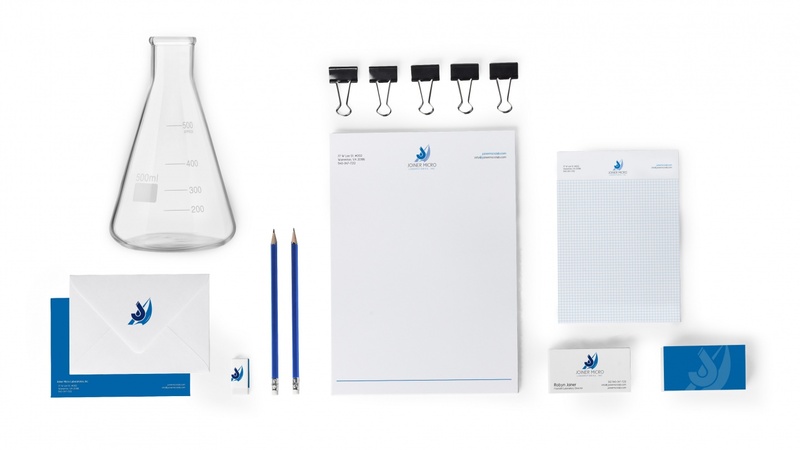 We created a clean and professional looking identity system that they were able to utilize throughout their business. These new items were processed and we continued to work on the new website with a focus on the homeowner and increasing awareness around water testing. The end goal was to provide useful information to homeowners as well as public works and other service industries about the dangers of contaminated water. Providing easy to follow steps and helpful tips for safeguarding and testing. We learned a lot about the industry as a whole and were able to provide strategic insights. Their digital presence has taken a huge leap forward not only for their business but to becoming a stronger leader in this industry and a trusted and informative source of their specialty. © 2019 MTN Creative, LLC. All Rights Reserved. All images, names and likenesses are property of MTN Creative and their employees.